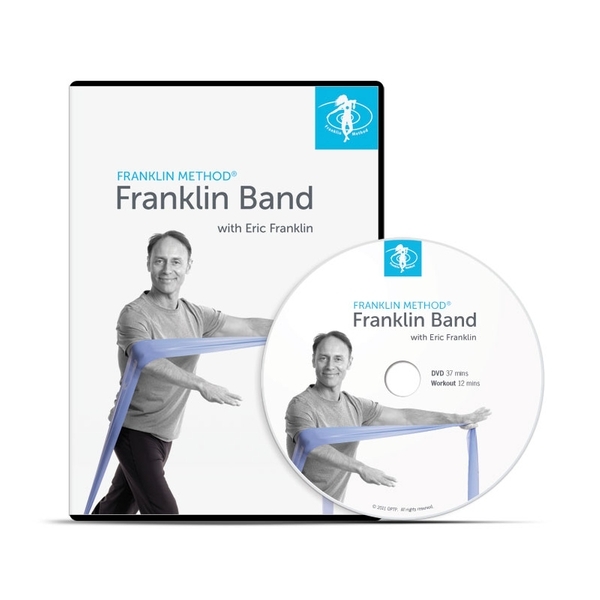 Perform 14 original resistance band exercises with Eric Franklin, emphasizing whole body conditioning for flexible strength and dynamic posture. Key Features include step-by-step demonstrations and close-ups of each exercise, 12 minute combined exercise routine with Laura Hames Franklin and exercise prompts emphasizing imagery and practical elements of body design. DVD run-time: 37 mins. ; Combined Exercise Routine 12 mins.